Is advanced practice nursing right for you? Make sure you have all the facts. During the late 1950s and early 1960s, specialization in medicine expanded, and this resulted in a shortage of primary care physicians. Primary care physicians recruited and collaborated with Registered Nurses to identify and treat the primary care needs of children and families. With the Social Security amendments of 1965 and the creation of medicare and medicaid low income children, women, the elderly, and people with disabilities gained new access to healthcare. Again, this put a strain on the practice of primary care and nurses stepped in to educate families about health promotion and disease prevention. In 1965, Loretta Ford, a pioneer in nursing education, partnered with physician Henry Silver, to create the very first training program for Nurse Practitioners to fill the primary care void. In general, the role of the nurse practitioner involves assessment, diagnosis, and treatment of individuals in their particular specialty. There are also subspecialty options with post graduate work. Nurse practitioner specialties include Family, Adult/Geriatrics, Pediatrics, Oncology, Acute Care, and Mental Health. 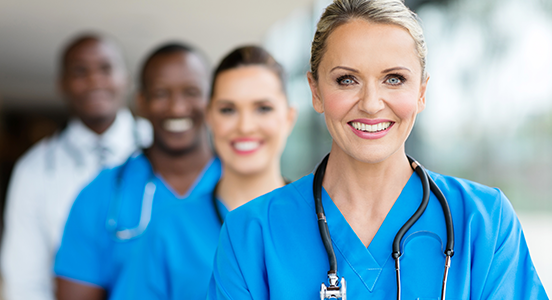 Nurse Practitioners can also work in a variety of settings, including primary care, specialty care, acute hospital care, longterm care, and community health. Throughout the history of nursing, one of its main foundations has been superior pain management. The earliest existing records documenting the anesthetic care of patients by nurses were those of Sister Mary Bernard, who assumed her duties at St. Vincent’s Hospital in Erie, Pennsylvania, in 1887. Since World War I, nurse anesthetists have been the principal anesthesia providers in combat areas of every war in which the United States has been engaged, including the current conflicts in Afghanistan and Iraq. Over the last decade, with the recent expansion in surgical and pain management fields beyond the hospital to outpatient centers, the demand for CRNAs have increased dramatically. CRNAs begin their relationship with patients pre-operatively with a pre-anesthesia meeting, continuing through the surgical procedure to the post anesthesia care unit. There are records of midwifery throughout history from the time of ancient Mesopotamia and Egypt through the dark ages and renaissance into the colonization of the United States. With the explosion of medical education in the late 19th century, midwifery in America almost disappeared. In the 1920’s, nurse-midwifery was created through the foresight of Mary Breckinridge, whose own personal childbearing losses promoted a passion for the promotion of maternal and child health. Nurse Midwives first practiced with rural and underserved populations. Today, Nurse-Midwives can practice in many different settings in their own private practice, or collaboratively with a physician in a hospital, clinic, birth centers or in the military. These nurses are certified according to the requirements of the American College of Nurse Midwives (ACNM) and specialize in providing prenatal and postpartum care, as well as tending to the needs of a woman during childbirth. Clinical Nurse Specialists trace the beginning of their practice to Florence Nightingale, the founder of modern nursing. Nurses began to specialize in the late 1800’s and grew in the 1930’s and 1940’s. By the 1960’s, CNSs were firmly established in the nursing profession. Clinical Nurse Specialists exist in multiple nursing areas of nursing, including diabetes management, oncology, mental health, critical care and community health. Their role is to provide health promotion and disease prevention education to patients and disease and treatment specific education to nurses. CNSs also aid in expanding nursing research. As you can see, each specialty dictates the specific roles throughout advanced practice nursing. Make sure you research all aspects of a specialty before choosing an educational program. Each state grants licensure for advance practice nurses and outlines the scope of practice for that particular state. Thus, you should also look into the laws outlined by the state you will be practicing.